Château Rieussec is one of the jewels of the Sauternes appellation. It is produced from a blend of three typical AOC grape varieties: Sauvignon Blanc, Sémillon and Muscadelle. 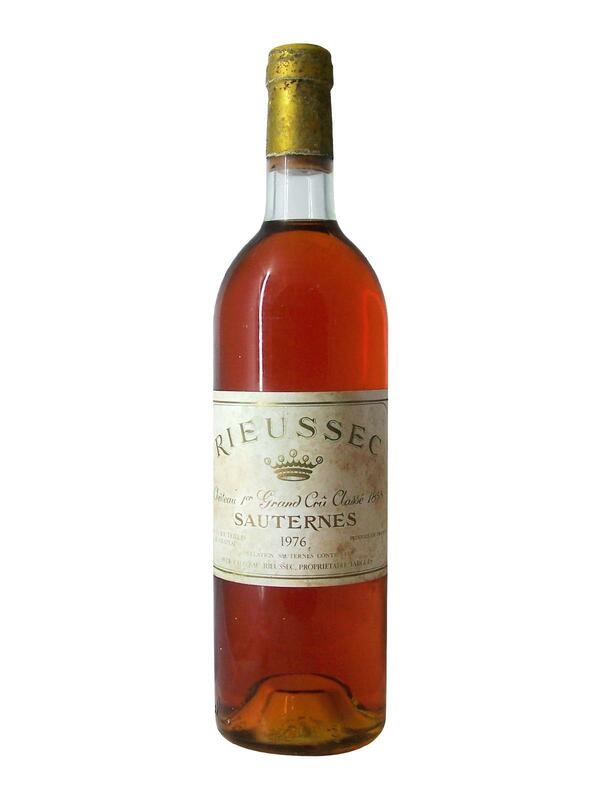 Château Rieussec's 1976 vintage has a dark, but translucent amber colour. On the nose, it gives off an exceptionally intense bouquet of candied and dried fruits, with orange jam, candied citrus fruits and raisins, accompanied by gourmet notes such as toasted almonds or chocolate. Château Rieussec 1976 is monumental in the mouth, both rich and full-bodied, with a caramelized texture and intense aromas. The fruity and greedy scents of the nose are even more intense on the palate in a simply delicious combination. Rieussec 1976 is a fantastic wine!